Late Blight or Phytophthora infestans is a serious disease that affects potatoes and tomatoes. This waterborne mold was the major culprit of the 1845 Irish and 1846 Highland potato famines. The spores of the devastating mold can overwinter on infected tubers, especially those left in the ground or can appear in volunteer plants from infected seeds. The spores on leaves can be spread through the crops, especially on days of high humidity, over 75 percent, and rain will wash the spores into the soil where they can infect the tubers. They can also be carried for miles on wind currents. The warm, humid growing season this year has created an ideal environment for the spread of Late Blight, affecting not only potato crops but the closely related tomato, as well. 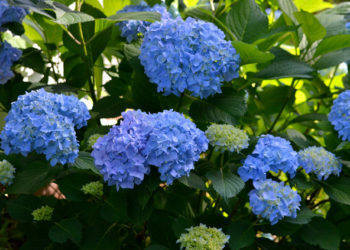 Symptoms include circular or irregular lesions on the leaves surrounded by a pale yellow-green border that enlarge rapidly and turn dark brown to purplish. During extreme periods of high humidity a cottony white mold will be visible on the underneath side of the affected leaves. 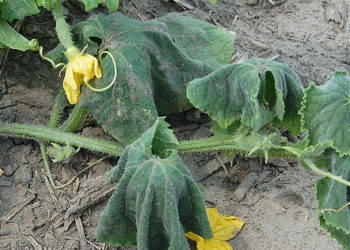 Stems may also be affected, causing the entire stem to die. On potatoes, lesions appear as brown sunken areas and the tissue beneath the skin may appear granular-like. If affected potatoes are stored in cool, dry locations for an extended period, the affected area may sink and dry out, however secondary fungi or bacteria that have entered the lesion will cause the entire tuber to become a slimy mess. On tomatoes Late Blight will develop on green fruit, causing a large, brown, leather-like lesion, seen mostly on the sides or top of the fruit. If the conditions persist, a white mold will appear and lead to a secondary bacterial infection, causing rot of the entire fruit. The best management of this condition is similar to most best practices of clean-up. Do not compost diseased plants or fruits: destroy them completely by chopping and burning, or they can be fed to livestock. Remove any volunteer plants that come up, as they may also be infected. Look for resistant varieties and plant only certified seed potatoes. A preventative fungicide program like Serenade Disease Control can be used. Contact your local County Extension office for the recommendations for your area. Remember, once you see the signs of a fungal infection, preventative measures are no longer effective. One source says if you discover the beginnings of late blight on potato vines you can ridge, or pile mulch up, around the stems so that the pathogen has a more difficult time reaching the tuber.